A contestant on The Price is Right made headlines after winning a treadmill despite being in a wheelchair. 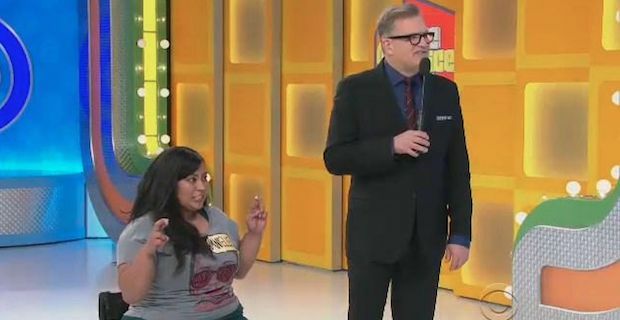 Danielle Perez appeared on the gameshow hosted by Drew Carey where players have to guess the correct value of items in order to win them. Perez also won a sauna worth $3,695 after correctly guessing that value was for the sauna rather than the treadmill. It meant that she also took home the treadmill as part of her prize package and she later tweeted "Well I won the treadmill and I laughed A LOT". Perez was far from upset over the whole thing though and saw the funny side of things. She said of her experience and the outcry over the treadmill prize "I don’t get why people are so upset about it. No one needs to do any of that. I’m having the best day of my life." In a radio interview Perez beamed about how funny it was to win a treadmill. She said "The irony of a woman in a wheelchair with no feet winning a treadmill. I think it’s the funniest thing in the world. This is great. This is the best thing that’s ever happened." A statement from network CBS said "Every member of The Price Is Right studio audience has a chance to be selected to play. Prizes are determined in advance of the show and are not decided based on the contestants." Despite this, the show has received a lot of attention from people online who seem to be genuinely outraged on behalf of Perez.